Into the Great Wide Open The A. Paul Knight Internship Program in Conservation, named in memory of a late Washington and Lee student, turns 30 this year. It has provided internships to 132 students and is still going strong. Paul Knight ’85, who inspired the internship program, was a great lover of the outdoors and fly-fishing. Photo courtesy of the Knight family. Less than two weeks after Liz Todd ’19 returned to Washington and Lee from her 2016 summer internship with The Nature Conservancy in Idaho, she unequivocally declared her majors in geology and environmental studies. If it hadn’t been for that opportunity through the A. Paul Knight Internship Program, she might still be searching for her calling. Al Knight ’51L delights in such stories, because he helped establish the Knight program as a tribute to his late son, Paul Knight ’85. 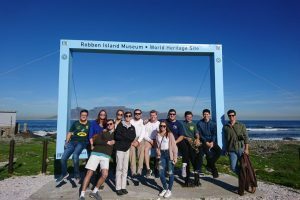 In the past 30 years, 132 W&L undergraduate and law students have landed internships in environmental protection and conservation through the program, and many have gone on to work in those fields. John McDaniel, professor emeritus of anthropology at W&L, first met Paul Knight during a lunch break on an archaeological dig. The men bonded over a mutual interest in fly-fishing, and during the summers of 1983, 1984 and 1985, Paul visited the McDaniel family at their summer home on the Henry’s Fork of the Snake River, in Idaho, one of the premier fly-fishing spots in the world. 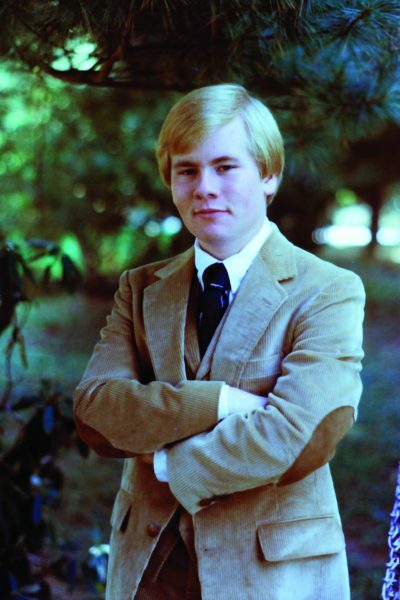 Paul Knight’s high school photo. Courtesy of the Knight family. 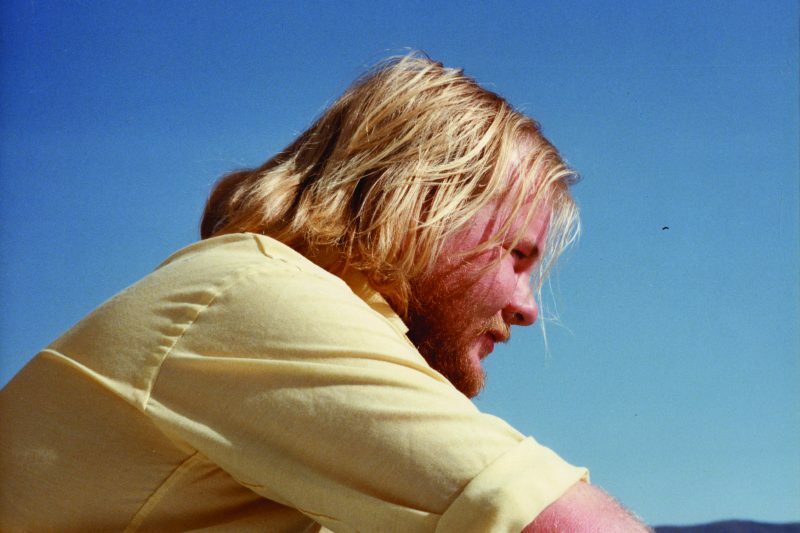 Then, in June 1985, Paul went missing during a backpacking trip at Yellowstone National Park. Two days later, rangers discovered that he had suffered a fatal fall. He was 22 years old. Together, the Knights and the McDaniels created the A. Paul Knight Internship Program at W&L. With generous contributions from Al Knight’s own funds, along with matches from his then employer, Merck and Co., and modest donations from others, the program placed its first intern in 1988. The number of internships has varied over the years, but the program now accommodates two law students and five undergraduates each summer. Law students secure their own positions, then apply for a Knight stipend. They have worked for a diverse array of organizations, including the Natural Resources Defense Council, the Southern Environmental Law Center, the U.S. Department of Justice, and the U.S. Environmental Protection Agency. Some still work in environmental law, such as Mary Cromer ’06L, who represents coal miners and their families through the nonprofit Appalachian Citizens’ Law Center, in Kentucky. Undergraduates work for one of three organizations located within close proximity in eastern Idaho: the Henry’s Fork Foundation (HFF), The Nature Conservancy’s Flat Ranch, or the Friends of Harriman State Park. Tasks include everything from mending fences and planting water lilies to conducting extensive projects. In 2017, for example, Sam Cochran ’18 created a comprehensive catalog of access points to the Henry’s Fork for the HFF. Jon Stiehl and Rich Paini, both Class of ’93, were so enamored with the Henry’s Fork that they built a business there, TroutHunter Lodge. It started as a small fly shop and guide service; today it is one of the world’s foremost outfitters. Stiehl credits their internship at the HFF with setting them on that path. 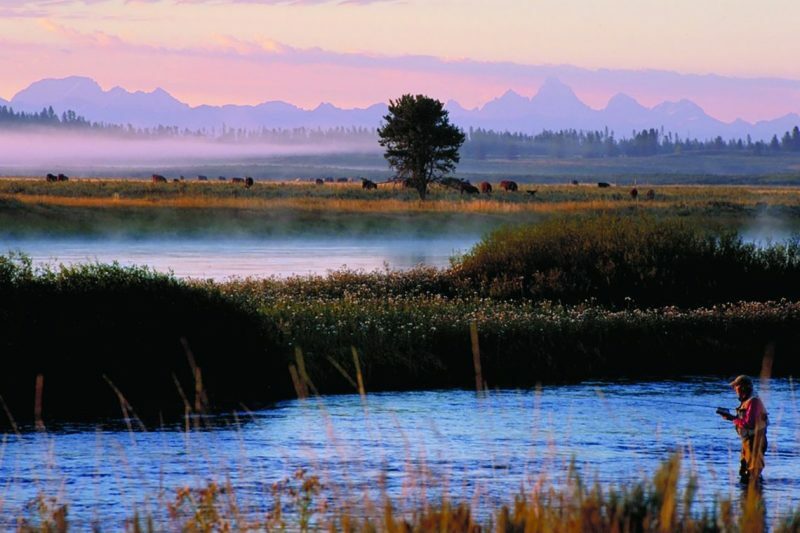 The Henry’s Fork of the Snake River, in Idaho, one of the premier fly-fishing spots in the world, and an area that has benefited immensely from the Knight internship program. Photo courtesy of Chris Brand ’89. The success of the Knight program over three decades can be measured by the number of young lives changed, and by the impact their work has had on the environment through those nonprofit organizations. None of that would have been possible, however, without the network of people who have lovingly shepherded it through the years. McDaniel and Murchison have helped to administer the program from Lexington since its inception, as has W&L wrestling coach Gary Franke, who also owns a home on the Henry’s Fork. In a twist, McDaniel now works every summer as a fly-fishing guide for TroutHunter Lodge. Kirk Follo, instructor emeritus of German and Italian, who served as Outing Club adviser during his time at W&L, was also involved. Al Knight’s involvement in and enthusiasm for the program has never flagged. He and his wife, Gail (Paul’s mother, Betsey, passed away a few years after his death), travel to their own summer place in Idaho every year to meet the interns and see what they are learning. When it became difficult to find summer housing in the area for the interns, the Knights bought a four-bedroom condo to accommodate them. In 2009, when Al Knight decided to contact all of the alumni who had interned in the program thus far, he was showered with responses of deep gratitude. Liz Todd, who calls Al and Gail Knight “the most fantastic humans,” feels forever indebted to them. “To offer that scholarship at no cost, in addition to a quite generous stipend, means it is a financially plausible experience for almost any student,” she said. For Knight, the benefit is clear: “I think it sort of gives me a tie back to Paul, meeting people who are young and vibrant,” he said. On the 25th anniversary of the program, Chris Brand ’89, a former Knight intern who serves on the HFF board of directors, organized a reunion of interns and their families. The crowd of more than 550 treated the Knights, McDaniels and Frankes to a standing ovation. In 2017, the Friends of Harriman State Park awarded the Turkey Feather Award to Al and Gail Knight for their impact on the organization. 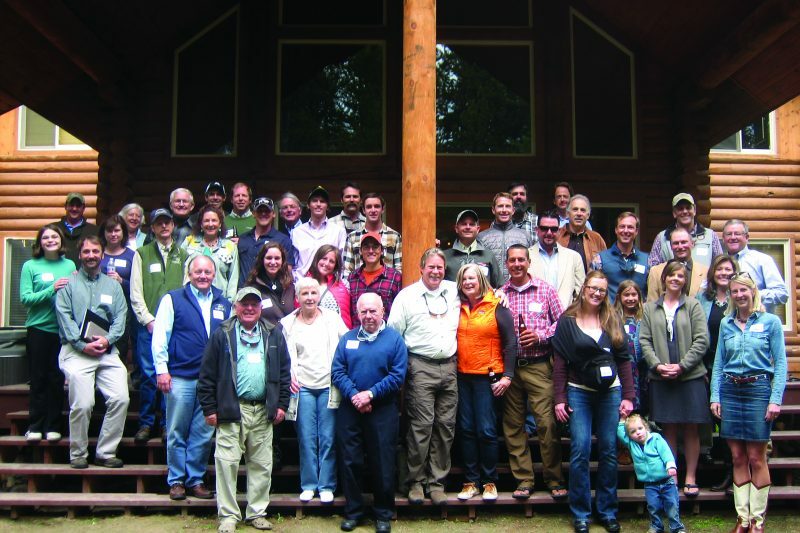 Past Knight interns and their families at a celebration of the program’s 25th anniversary, in Idaho. Paul’s father, Al Knight ’51L, is standing in front, wearing a blue sweater, with his hands clasped. Photo courtesy Gary Franke. For more information about the A. Paul Knight Internship Program in Conservation, please click here.